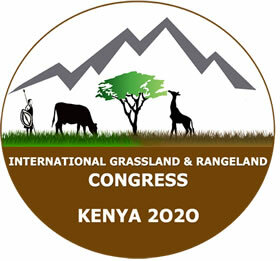 Many participants who attend the Joint XXIV IGC and XI IRC Congress will need a visa to enter Kenya. Delegates should apply for a visa two months before the start of the congress. Visa issued and not utilized in three months expire. Here are some quick steps to follow. First, it’s important to find out if you need a visa to enter Kenya. Citizens of most countries will need a visa although citizens of some countries will not. To find out which category you fall under and whether you can apply for a visa online, visit the Kenya e-Citizen website. Find out what type of visa you require. For most conference participants, this will be a Single Entry Visa. Make sure you meet the photo requirements for your visa. If you would like to apply for a visa online, read the e-Visa instructions. We recommend you apply for a visa as soon as you can. Visa costs are $51 USD for online applications and $50 USD for offline applications (for example, visas issued by Kenyan embassies). Apply for an e-Visa online by creating an account. To apply for a visa offline, find a Kenya Embassy near you (click on Missions Abroad in the main menu). You can also apply for a visa when you arrive at the Kenya airport, but we recommend getting a visa before you travel to avoid delays. For any questions, contact: visasection@immigration.go.ke.